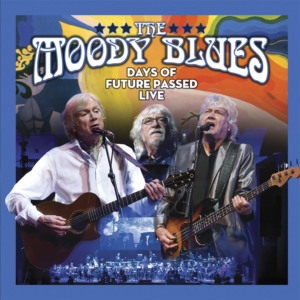 I was very excited to see, much to my surprise, that the upcoming live concert release from the Days of Future Passed Live tour will include a vinyl release. (Amazon here). I was holding out a little bit of hope the video would see a 4k/UHD release as previous Eagle Rock titles had been out ahead of the Blu-Ray HD wave with the Lovely to See You title, but that’s ok. It made me think that there’s a curious vinyl gap in the Moodies catalog. Over the last few years, new items have seen LP releases, including the Isle of Wight (clear vinyl!) and Collected releases. There have been a number of re-releases as well, including a million of Days (to varying degrees of quality) and even The Other Side of Life. I’ve skipped a pair of other live albums, specifically: Hall of Fame and Lovely to See You as they weren’t as “big” as Red Rocks although HoF did get the PBS treatment. Even Keys was a limited international release, but by now if you really wanted one, you probably were able to secure a copy. So why not new releases of these catalog items on vinyl? Especially Strange Times – arguably the only complete studio album of original material never to see vinyl. Even as I hate to suggest it, a massive box set of Moodies albums on vinyl that had these 3 titles as exclusives would make me go out any buy it. Others are selling these massive catalog sets to great success, like Weird Al’s sold-out Squeeze Box. Now that I think of it… HoF, unlike LTSY was missing a number of songs we knew were performed such as Strange Times which has never seen an official live release. So let’s get the whole Hall of Fame show as a an extended edition, too! It seems like the Rock Hall induction might be a great opportunity to promote such an item… just sayin’. This entry was posted in Albums, General, Tours, Videos.